Ms. Hansen is a litigator and has tried cases in Philadelphia County, the surrounding counties and the Federal Courts. She has successfully defended hospitals and physicians in complex medical negligence litigation. A substantial portion of her practice involves catastrophic obstetric and orthopedic claims. Ms. Hansen has lectured extensively on these issues and has made presentations to the National Judicial Conference and at Grand Rounds at numerous hospitals. She has also co-authored two chapters in medical texts regarding medical malpractice litigation. 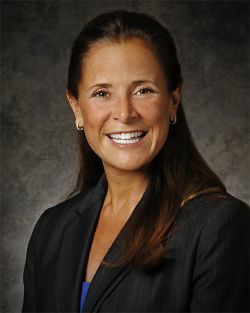 She has served as a trained mediator for medical negligence claims for Health Care Resolutions and is certified in Mediation through the Drexel University College of Medicine Mediation Program and Pepperdine University School of Law, Straus Institute for Dispute Resolution & Vermont Law School, East Coast Professional Skills Program, STAR – A Systematic Approach to Mediation Strategies. Heather has served as a Judge Pro Temp for the Philadelphia Courts. She is also a volunteer Child Advocate Attorney for the Support Center for Child Advocate and was honored for her pro bono work by the First Judicial District of Pennsylvania in 2013. Heather is a Fellow of the American College of Trial Lawyers. Fellowship in the College is by invitation extended to the top one percent of trial lawyers who have demonstrated exceptional skill as advocates and whose professional careers have been marked by the highest standards of ethical conduct, professionalism and civility. Heather also speaks frequently for hospitals, universities and professional / legal associations. Villanova University School of Law, Villanova, Pennsylvania, 1997, J.D. The American University, Washington, D.C., 1994, B.A.